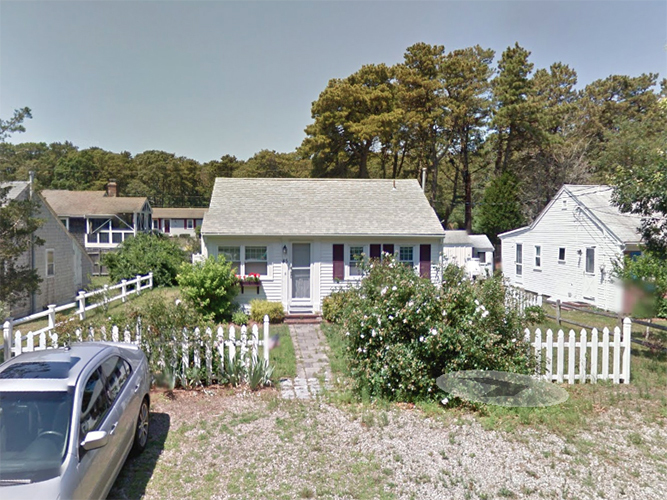 Problem: During renovation, the old gas fired heating system was removed from this beach cottage, leaving only a gas fireplace and some inefficient electric strips to keep the whole place warm in the winter. The homeowner was seeking alternative heating options, as well as cooling comfort for the hottest summer days. Solution: Dual-zones of Mitsubishi Ductless comfort with a single Hyper-Heat outdoor unit mounted to the structure. When the wind blows down by the ocean, it can get chilly in a small cottage that was never meant for year-round living! This couple beautifully renovated their Cape-Style cottage with intentions of staying comfortable year-round. 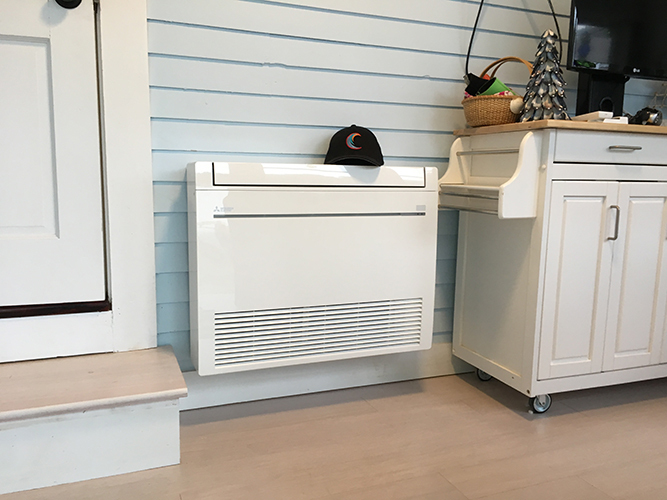 To supplement the gas fireplace, we installed two different ductless options; one high-wall unit in the main living area, and one floor-mount unit (see picture) in the rear area to serve the porch and bedrooms. 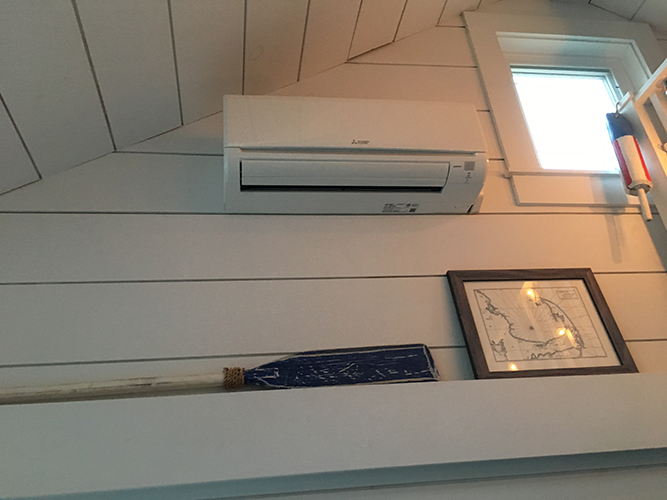 Paired up with (2) MHK1 controllers and an internet gateway, these customers can also remotely control and monitor their beach home’s temperature during their travels.